Poor breathing problem arises when high-pressure gas trapped in the compression cylinder. This gas needed to re-expand before another fresh charge drawn into compression cylinder, effectively it reduces the engine capacity to draw air and resulting in poor volumetric efficiency. 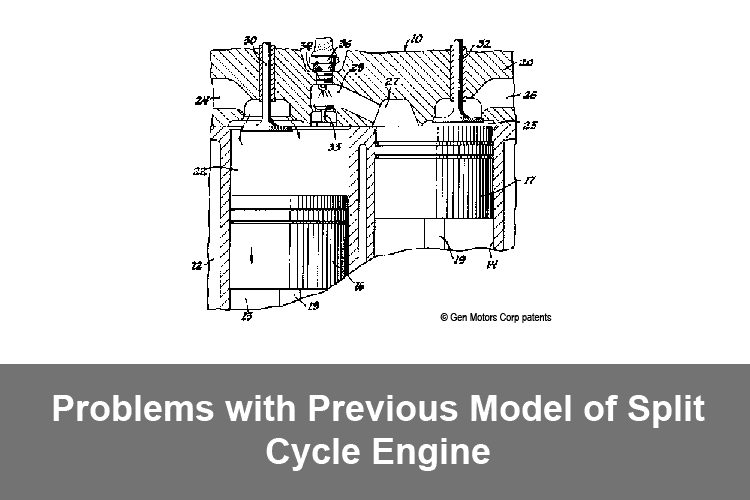 The thermal efficiency older split cycle engine is worse than the conventional Otto engine. The primary reason for this is they all try to fire the air-fuel mixture before top dead centre. To fire before top dead centre the compressed air-fuel mixture in crossover passage allowed to expand into power cylinder as the piston in an upward stroke. By expanding of compressed air the work done on the air in compressor cylinder is lost, then it is recompressed as piston move to top dead centre.